Open Source Software (OSS) is everywhere. According to a recent survey in 2018, the start-up company Tidelift, reports that 92% of all applications contain OSS. In another survey in 2018, GitLab reports that 60% of all respondents say all or most of their team’s development tools are OSS tools. In 2018, two major corporate acquisitions have turned everyone's eyes to OSS. In a $7.5 billion deal, Microsoft bought GitHub, the worlds leading software development platform. Just recently, the software giant IBM announced the acquisition of RedHat for a whopping $34 billion. Thus, OSS has quickly become mainstream and should be considered as the default choice for a modern IT platform. Even in the area of enterprise software, such as traditional integration software, OSS is quickly becoming a force to reckon with. The reasons for this are not just technological, but organizational and cultural as well. OSS should not be confused with free software, or open core software, which are similar to OSS but not quite the same. Furthermore, there are numerous different license models that governs the use of OSS. In the first guide of three parts, we will start by looking into the world of OSS and review the advantages, opportunities, risks and disadvantages of using OSS. We will also give a short overview of the history of OSS. Furthermore, we will take a look at significant events and surveys in the year of 2018, and finish off with some conclusions. 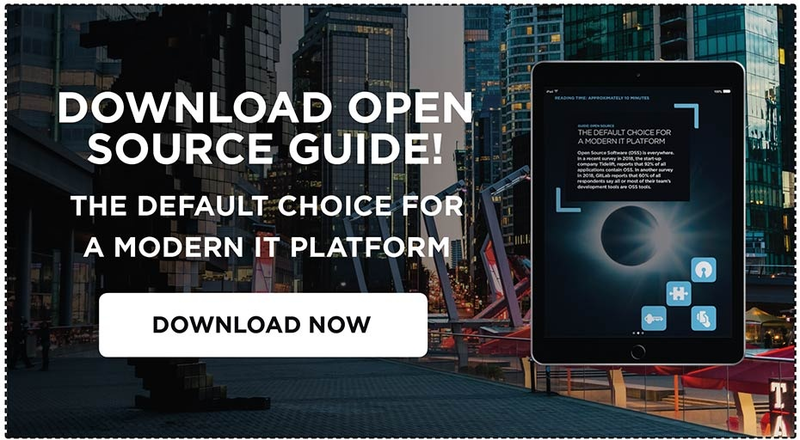 Download the Open Source guide below. In the second guide in the trilogy, we will make a deep dive into the era of Cloud Native to see what it’s all about, and what the advantages of adopting it are. Then, in a third and final guide, we will uncover a reference architecture for integration, based on OSS and Cloud Native.